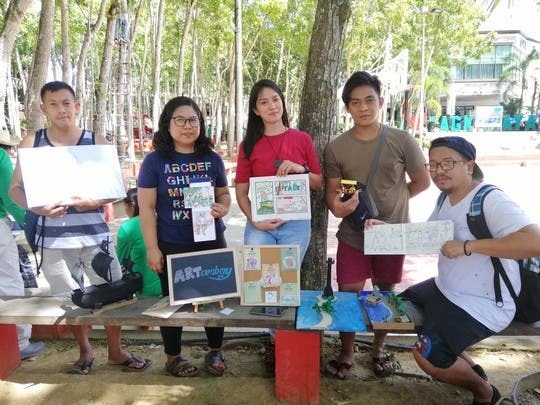 Project TK 4321, an art community in Tagkawayan (TK), Quezon is sparking a positive ripple effect by promoting art as a productive and collaborative hobby in this digital generation. 4321 is the postal code of this first class municipality in Quezon province, thus the name. 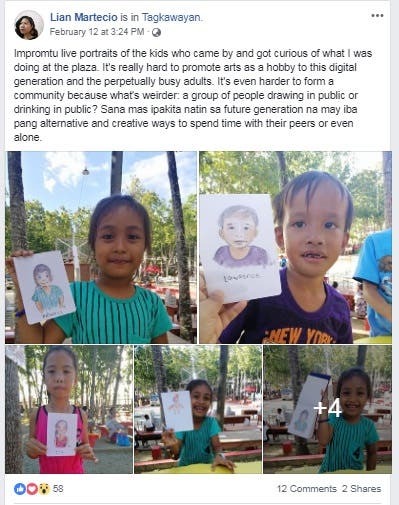 She then invited her friend to draw at their hometown’s plaza and promoted the ARTambay activity on Facebook. Later on, some of her town mates expressed their interest in joining them during their next ARTambay session. 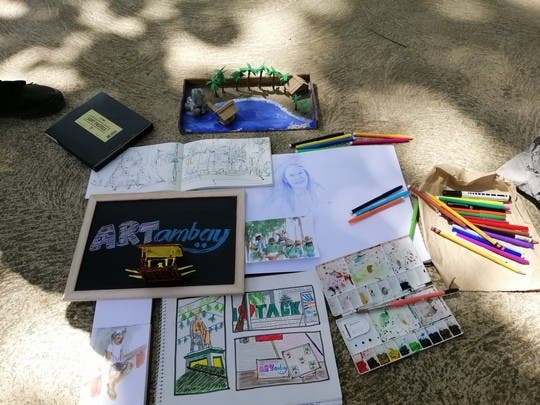 The idea of ARTambay came from the word “art” + “tambay”, or hanging out with fellow art enthusiasts while drawing or making crafts. The events are free and open to all. Attendees are given the choice to bring home their work or have an art exchange with their fellow artists. Lian shares that it’s not easy to explain the unusual concept of ARTambay since painting or drawing is typically a loner’s activity and artists are commonly introverts. 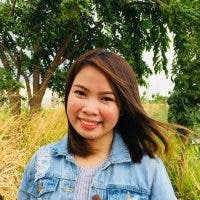 In one of her posts, she also expressed her sentiments on the struggle of promoting arts as a hobby in this digital age and the busy lifestyle of grownups. She adds that it is rare to see a group of people drawing in public as most people can be seen drinking in public instead. Still, this didn’t hinder her pursuit to develop the Tagkawayan community through works of art. In fact, more and more people are now becoming aware of the ARTambay advocacy. They took action by exposing the concept of drawing in public to normalize the idea and engage more people to join. It is also part of their mission to show and uplift the beauty of Tagkawayan by translating it into meaningful art. “Nais naming maappreciate pa ng mga kababayan naming yung mga lugar. Kapag lagi mo kasi siyang nakikita, parang hindi na rin masyadong napapansin. 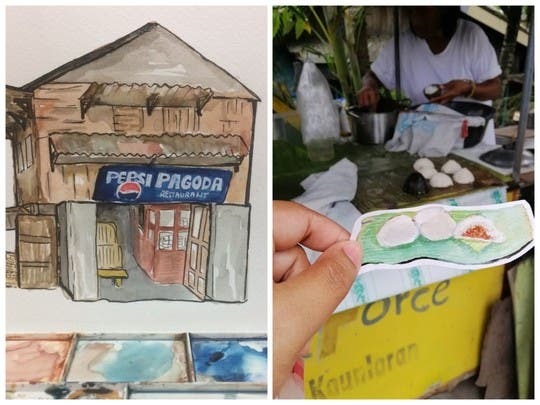 So through the eyes of an artist, nag-iiba yung perspective kapag tinranslate sya into art. 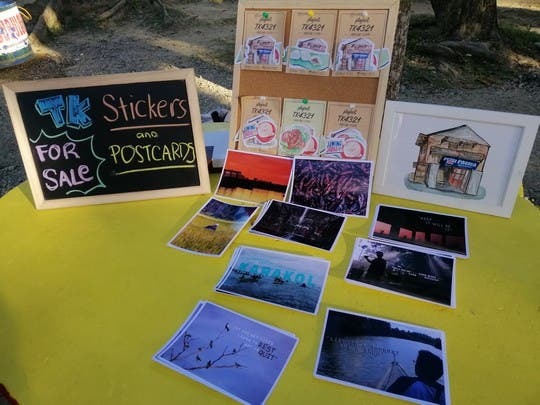 Ganun din sa makakakita nung artwork,” the founder shares. [We hope that more people will start appreciating the place. The more you see it, the more you fail to notice it. Through the eyes of an artist, the perspective changes once translated into art. The same goes for those who will see the artwork.] 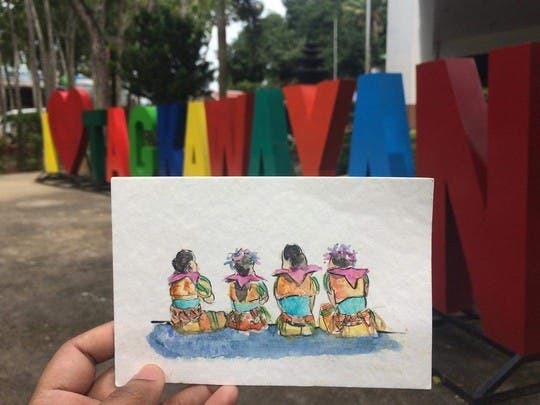 They are also encouraging to share the artworks on social media to widen their reach and promote the place, which they hope will aid in boosting Tagkawayan’s tourism.